Hello there Copic Lovers! Marie here and am so excited to show this little magnetic bookmark I put together. I used the darling little dragon image by Wild Rose Studio called Fergus With Poppy. Check it out! 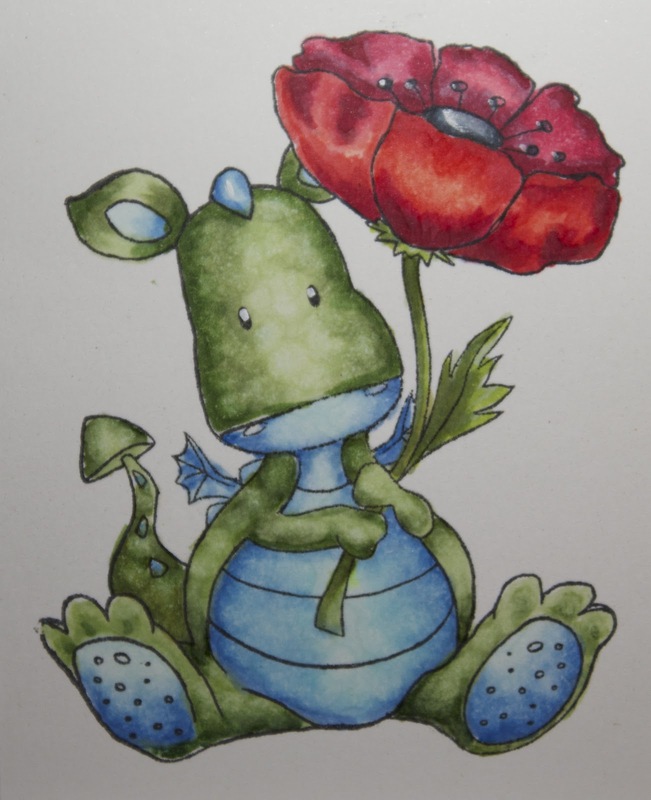 it is a great image to color! Flower center: C0, C3, C5, C7 with Copic Opaque White for accent. Trim paper 12 in x 2.75 in. Score at 3 in, 6 in. and 9 in. 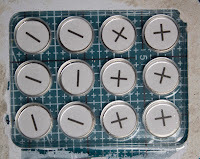 Adhere double sided tape and the top of the 3 in line and just before the 9 in. line. 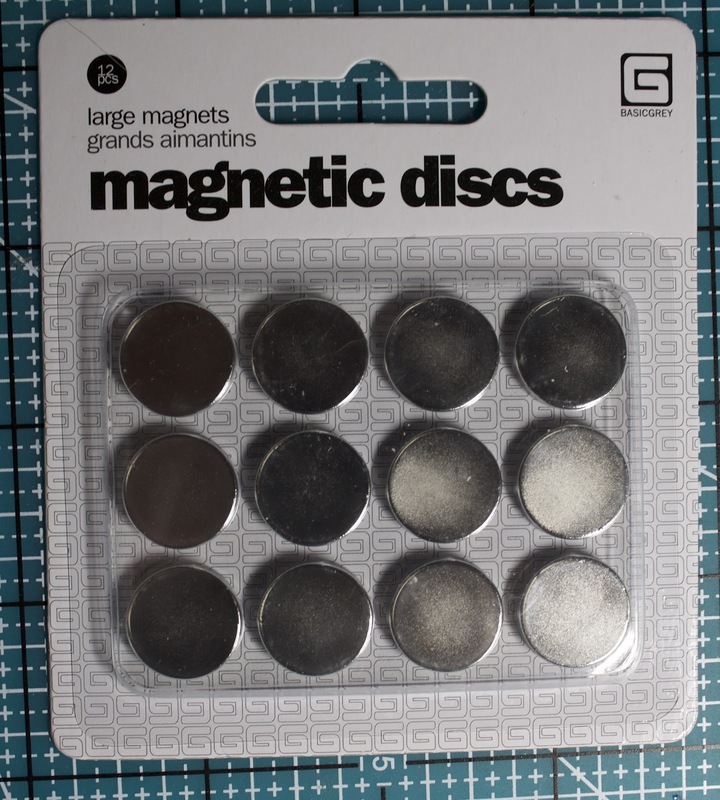 This is what the magnetic discs I used look like. One disc will be negative and the other disc will be positive. Adhere a 6 in strip of double sided tape across the center portion of the strip between the 3 in mark and the 9 inch mark. 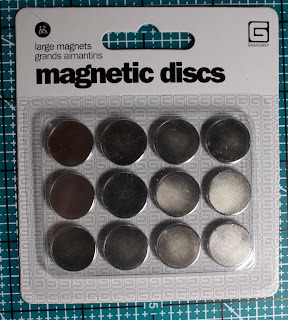 Remove the protective layer on the tape and you will see the two magnetic discs. Fold the outer 3 inch portion of each side inward to the 6 inch mark. The reason the ends of the bookmark fold inward toward the 6 in. mark is to prevent open edges at the bottom that would come loose with repeated opening and closing of the bookmark. It gives it a finished look and is more durable. Cover the paper with a piece of protective paper (to prevent making marks on you paper) and run a scoring tool over the folds to make a sharp crease. 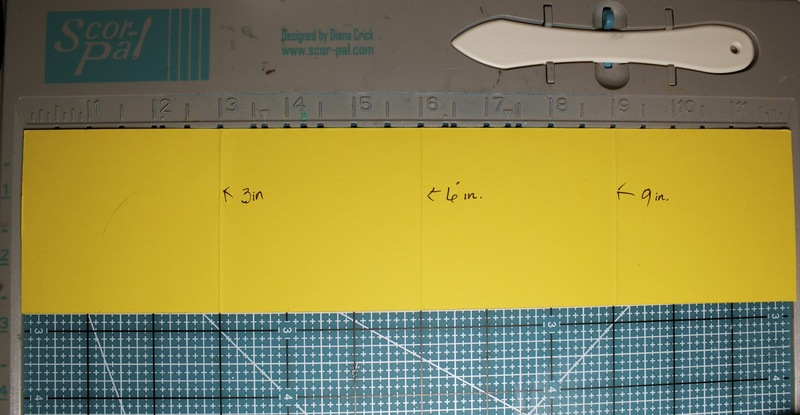 I cut a coordinating blue card stock at 2 5/8 in x 5.3/4 in and adhered to the inside of my bookmark. 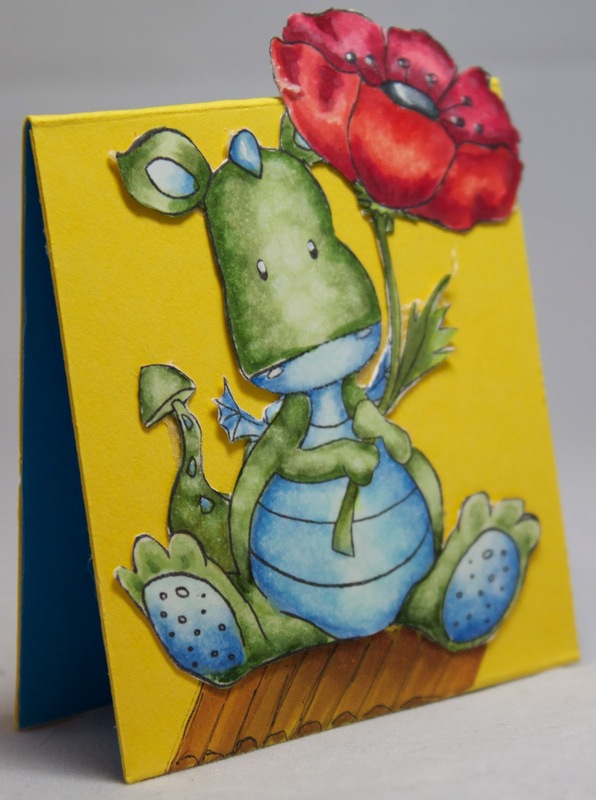 You can stamp a sentiment or write a personal note on the inside of the bookmark. 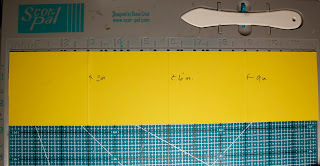 The finished bookmark measures 3 in x 2.75 in. when closed. Copics E31 and E35. I didn't want the little fella sitting in the air... It's better to ground him! 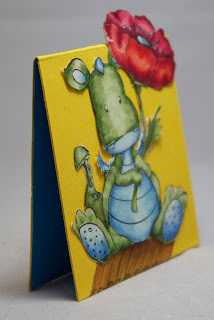 This is the side view of the bookmark when open. 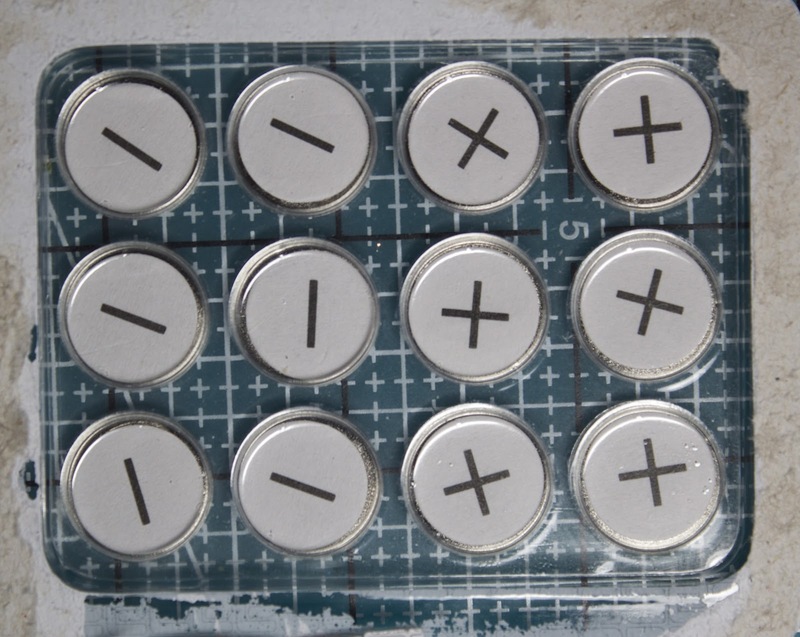 The magnets are strong enough to firmly close and yet they are hidden in-between the layers of paper. I hope you enjoyed this tutorial as much as I enjoyed creating it for you. Have a wonderful day! 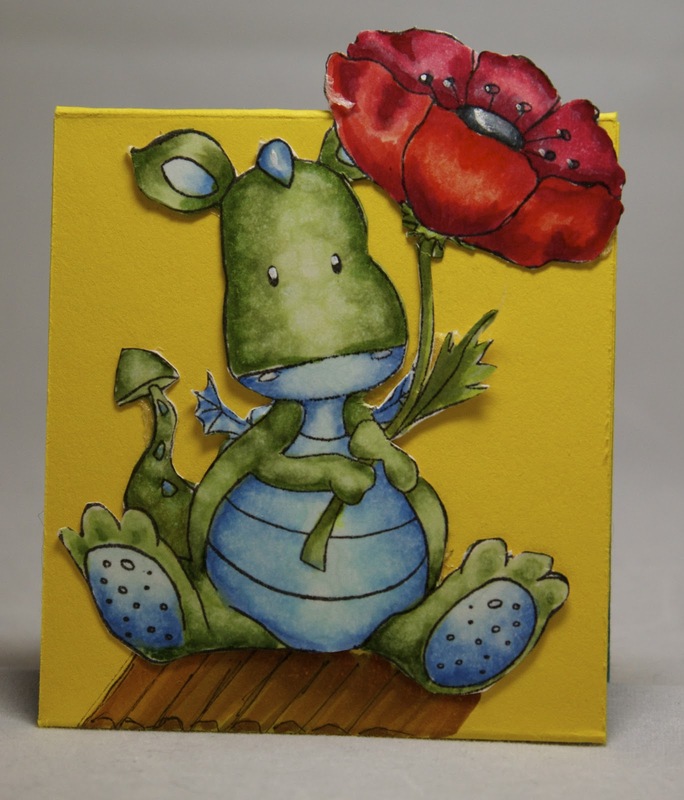 Don't forget to stop by tomorrow and see who the winner of our iCopic challenge is! It may be YOU! This is so cool!! Love the tutorial... bookmarking it for the future! And I love what everyone is doing with Fergus... I'm going to have to get a Fergus for myself!